The blowout reminded Central Colorado residents of two eerily similar incidents that fouled the Arkansas River in 1983 and 1985. The toxic discharges on the local river occurred in a period of time when the Environmental Protection Agency was beginning Superfund clean-up of old mines around Leadville. The culprit of both discharges was the Yak Tunnel, which was one of three constructed to drain mines in the district. Leading up to Superfund designation, the years of inaction were becoming a public health emergency. Drainage ditches in Leadville neighborhoods were turned orange or red because of the heavy metals coming from the historical mines. Annual discharge from the Yak Tunnel was pumping 210 tons of heavy metals into California Gulch, which was then reaching the river, according to the EPA. A few days after the incident, the river through Salida was running clear but state wildlife officials were worried about the impact upon the brown trout spawn, and they estimated up to half of the eggs may have been lost, the local paper reported. Subsequent research found that high levels of cadmium prevented fish from living more than three or four years, wildlife officials said. 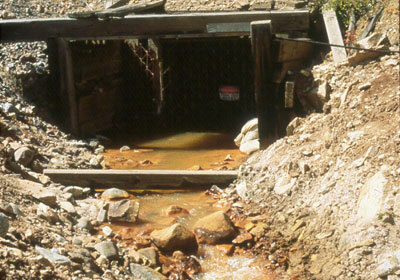 Threat of another catastrophic discharge surfaced once again in February 2008, when alarm was raised over the potential blowout of the Leadville Mine Drainage Tunnel. Tunnel collapses and blockages had created a potentially dangerous situation for an uncontrolled surge. In response the EPA drilled a relief well, which worked to reduce the danger. Twelve specific cleanup units were identified as part of the Superfund designation and to date, seven have been wrapped up to a point where regulators are calling them deleted from the operational plan. Examples of the process include construction of water diversion channels and settling ponds to prevent heavy metals from reaching surface water, and consolidation of smelter waste and mine tailings which were then covered with clean soil. At the Yak Tunnel, a water treatment plant has been credited with dramatically improving water conditions in the Arkansas River, and the overall cleanup has been hailed as a success, although the EPA has ruffled some local feathers. The river now supports a vibrant, healthy fishery with greater public access, and the residents of Leadville and downstream are living around less toxicity. The EPA came to town on Thursday, Dec. 18, and it was a much-more cordial gathering than back in the 1980s when Leadville was first named a Superfund site. The occasion was to recognize the removal of Upper California Gulch, the Asarco Smelter/Colorado Zinc-Lead Mill site and the Apache Tailings from the Superfund National Priorities List. All are part of the California Gulch Superfund site. The delisting of these areas, Operable Units 4, 5 and 7, from the Superfund list is said to be a major milestone in addressing mining contamination at the site. Lake County Commissioner Mike Bordogna provided a timeline of the activity in California Gulch stretching from the time when gold was discovered in California Gulch in 1859 through 1983 when California Gulch was placed on the EPA’s National Priorities List to the current day and the most recent delistings. EPA Regional Administrator Shaun McGrath said that of the 18 square miles that initially made up the Superfund site, seven of the 12 operable units have now been delisted, accounting for 70 percent of the area. He added that 90 percent of the construction work is now complete. McGrath also used the occasion to present the Lake County Commissioners with an Environmental Achievement Award for Excellence in Site Reuse. Cited were three reuse projects within Lake County: the Mineral Belt Trail, the Lake County Community Park and soccer fields, and the restoration of the Upper Arkansas River, which recently received the Colorado Parks and Wildlife’s Gold Medal Designation for trout fishing. Martha Rudolph, director of Environmental Programs, Colorado Department of Public Health and Environment, looked back to the “thorny days” of the Superfund site, saying “California Gulch was a challenge from the beginning,” so much so that no cleanup took place at the site for the first ten years. Thirty years later relationships among the entities have improved. And today the Arkansas River has gone from an eyesore to a true gem, Rudolph said. Along with the Lake County award, numerous people were recognized for their work over the years with the EPA. Commissioner Mike Bordogna traced the history of California Gulch through the years at the delisting celebration held Dec. 18. More California Gulch coverage here and here. For more information, contact Linda Kiefer, Remedial Project Manager, EPA, Region 8, 1595 Wynkoop Street, Denver, Colorado; 303/312-6689, kiefer.linda@epa.gov. The Resurrection Mining Company has filed for approval of an augmentation plan that would allow it to use water shares to replace water depleted from the Yak Tunnel and water treatment plant. Under the plan, the company would use shares it owns in Twin Lakes Reservoir to replace water depleted by its operations in California Gulch. Resurrection filed an application for approval of the augmentation plan with Division 2 of the Colorado Water Court on May 20. Resurrection currently owns 22 shares of water in Twin Lakes. Twelve of those shares are included on a provisional basis, meaning Resurrection can remove those shares from the plan or use it for purposes other than what it was originally approved for. In its plan, Resurrection estimates that depletions from its plant range from 3 to 7.7 acre feet of depletions a year. The plan seeks to augment five structures owned by Resurrection. Of those structures, only two cause water depletion, according to the plan. Water depletes from the Yak Surge Pond and the Yak Treatment Plant via evaporation, and some also leaves the treatment plant through the disposal of residuals used in water treatment. The water shares from Twin Lakes would be delivered to the intersection of Lake Creek and the Arkansas River under the plan. ASARCO and Resurrection have been using water from Twin Lakes to replace depletion from their operations at the Yak since 1989. However, they have been doing so under substitute water supply plans, which expired June 14, 2014. Resurrection’s application would provide for a permanent water replacement plan. The application also asks the division to renew the substitute water supply plan. 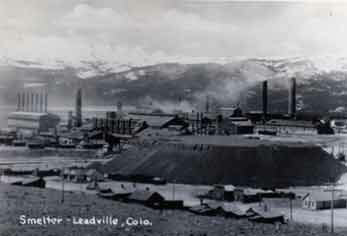 Resurrection and ASARCO entered into a joint agreement to develop mine sites in the Leadville area in 1965. The Yak Treatment Tunnel was originally under title to ASARCO. However, when ASARCO went bankrupt, Resurrection assumed the title. The Resurrection Mining Co. has filed its plan in water court to permanently replace flows to the Arkansas River water from its Yak Tunnel reclamation plant. According to a court filing in May, the company plans to dedicate 10 shares of Twin Lakes water to flow down Lake Creek to replace the water it is capturing and cleaning at the Yak Tunnel plant and surge pond about 1 mile southeast of Leadville. The water court application formalizes an arrangement that has been in place since Resurrection took over operation of the Yak Tunnel from ASARCO after a bankruptcy filing in 2005. ASARCO began operating the Yak Tunnel plant in 1989 following federal court decisions that required mining companies to intercept and treat drainage from mine tunnels. Twin Lakes shares were leased until the company bought its own shares in 1994. Depletions amounted to 3-7.7 acre-feet (1 million- 2.5 million gallons) annually from 2006-13. Replacement for those flows were replaced under a substitute water supply plan, an agreement administered by the state Division of Water Resources. The tunnel, like others in the area, originally was drilled to dewater mines and increase productivity. However, the drainage includes heavy metals that diminish water quality and endanger wildlife. The surge pond captures water that escapes from tunnels and allows the water treatment plan The court filing assures that an operating plan is in place, regardless of how much water is needed in any given year to replace depletion. The latest test data show that highly toxic water in the Schwartzwalder mine’s main shaft seeps underground into Ralston Creek, which flows to Ralston Reservoir. A settlement deal requires Cotter to pump and treat millions of gallons of water and lower the level to 150 feet below the top of that 2,000-foot-deep shaft. This is intended to prevent uranium — in concentrations up to 1,000 times the health standard — from contaminating water supplies. Cotter also must provide $3.5 million in financial assurance money to ensure cleanup of the mine west of Denver is done and pay a civil penalty of $55,000. Another $39,000 in penalties is to be waived. The deal, approved by state regulators, ends Cotter’s lawsuits challenging state orders to clean up the mine and the creek. A state judge ruled in favor of regulators and Cotter appealed the decision.